A 46 - year - old woman who stole a laptop computer worth Rs 195,000 and two mobile phones worth Rs 60,000 from a car parked at Ward Place on September 16 was arrested by Kurunduwatte Police on Saturday. A Sri Lankan taxi driver apparently could not resist the temptation of the large bag held by a Saudi woman when she hired him at Dubai’s airport. Just as she stepped out of the car near her rented apartment in Barsha, he sped away with the bag. The bag turned out to be big loot as it contained a laptop and an Ipad device worth more than Dh4,300, which he sent to his family in Sri Lanka. 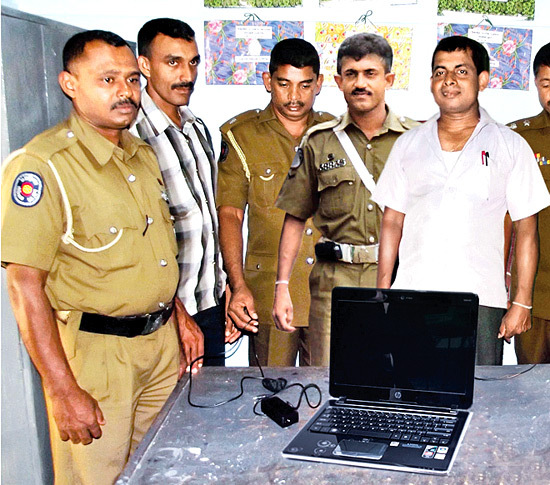 Four youths including a minor who had stolen a lap-top worth nearly Rs100,000 from a parked van by breaking its glass shutters , in Nambapana, Parewithota in Ella were each released on Rs 5,000 cash bail and Rs 500, 000 personal bond by Horana magistrate Mahinda Ranasingha.